So WHY is Amazon banning a Book on how the CIA and the NSA created Bitcoin? It is titled CIA PROJECT BITCOIN. If you didn’t know it, Amazon has a huge deal with the CIA and AMAZON for nearly 1 BILLION US DOLLARS. So we can all see how Amazon just does whatever the NSA or CIA tells them to do, if those agencies don’t like a book! 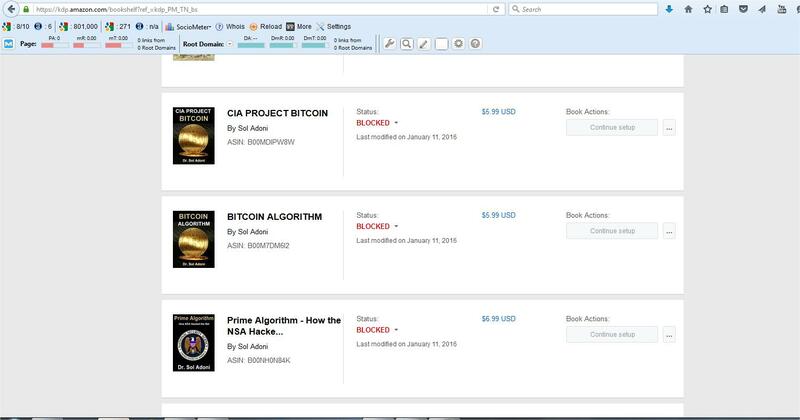 Dr. Sol Adoni is the author of CIA PROJECT BITCOIN and Amazon has banned his 3 books with his math theories that he claims are used by the NSA and CIA to hack modern encryption algorithms. These books are now banned by Amazon even though they have been on Amazon for over a year. Here is Dr. Adoni’s Post about how Amazon banned his math books . This image from Amazon telling Dr. Adoni they banned his math books is PROOF the story is real. Recently Amazon also banned one of my own books titled ROSWELL THE PROOF. It is my opinion the CIA and NSA wants Amazon to HIDE THIS BOOK from the public since it has FBI documents that prove ROSWELL REALLY WAS A UFO EVENT. 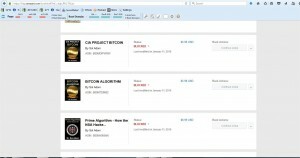 These are some of the books on Math and Bitcoin by Dr. Sol Adoni that Amazon has BANNED. All of the books have chapters about the NSA and CIA and how the math of Dr. Sol Adoni was stolen by the NSA over 20 years so the NSA could hack modern encryption algorithms. 3. Does BR Inman or any individuals with any ties to any intelligence agencies in any government sit on the board of Amazon or in any executive positions at Amazon?